We have had a busy end of term. We have finished our Roman topic this week, reflecting on what we have learnt about the Romans and identifying what the Romans gave to us that we still use today. We finished the term celebrating Earth Day. We explored what we can do to help protect our plant through a range of activities and we all created a pledge - please look at our Earth Day page to see what we have been up to and listen to our Earth hour pledges. 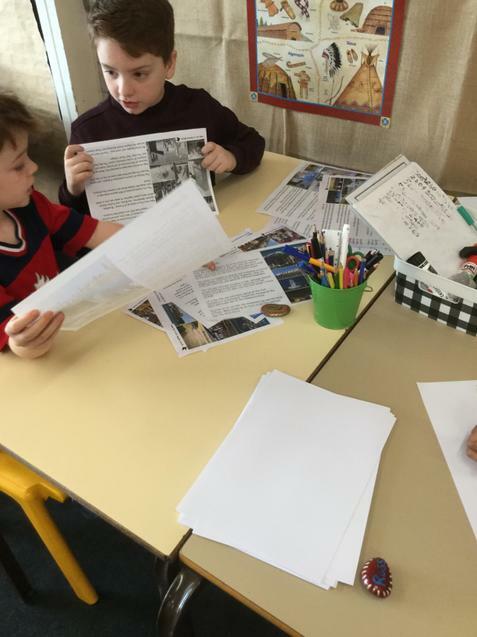 This week we have been working hard as reporters and have written our own newspaper articles about Mount Vesuvius and Pompeii. The children have worked very hard on this and are very proud of their newspaper reports. In Maths we have been focusing on length. The children have been comparing lengths, adding and subtracting lengths and converting between cm, mm, m and km. 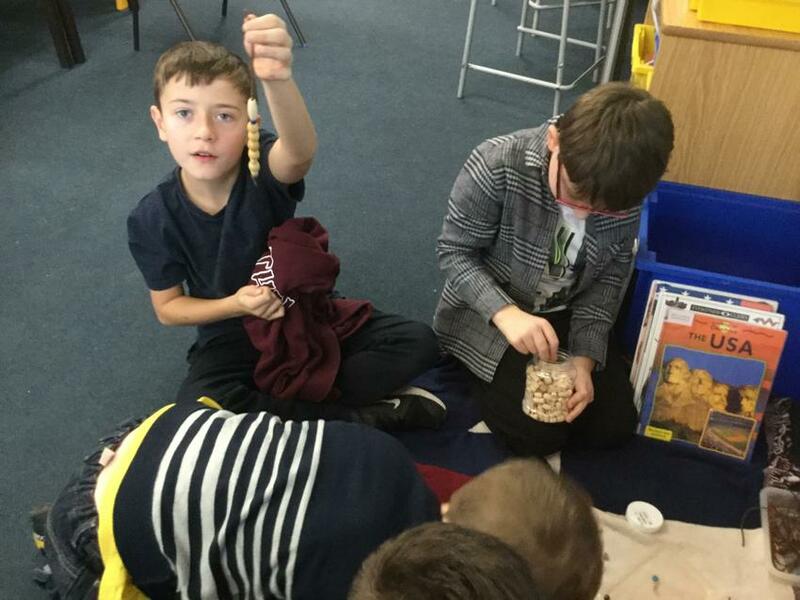 Science - they have continued to create their own fossils. In topic they have been working on their map skills and have been looking at Italy in relation to the rest of the UK and plotting where Rome and Pompeii are on the map. They have also been looking at maps of the UK and plotting on their maps where the Romans built their roads. 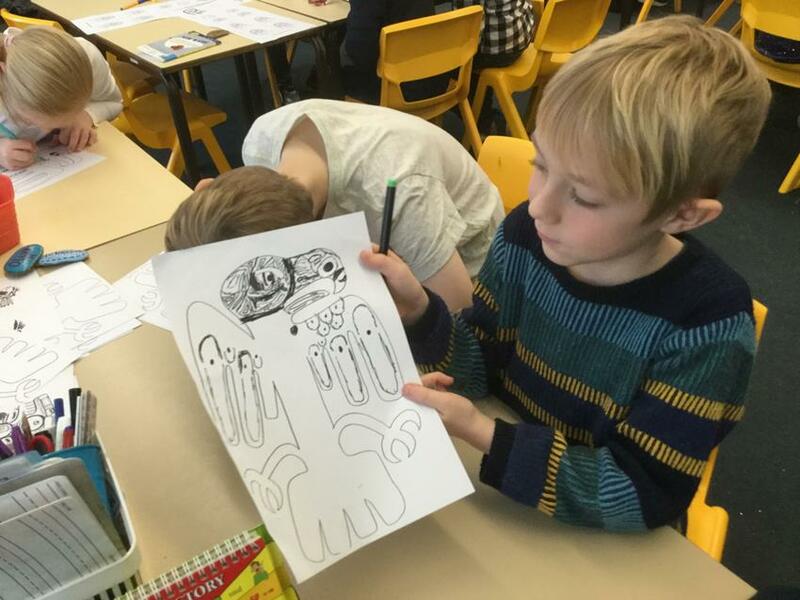 We also had a guided drawing lesson where we learnt how to make a sketch of the Colosseum. Next week we are going to turn these sketches into a pop picture. Next Friday we will be celebrating our Earth Day and looking at ways we can help protect our planet. 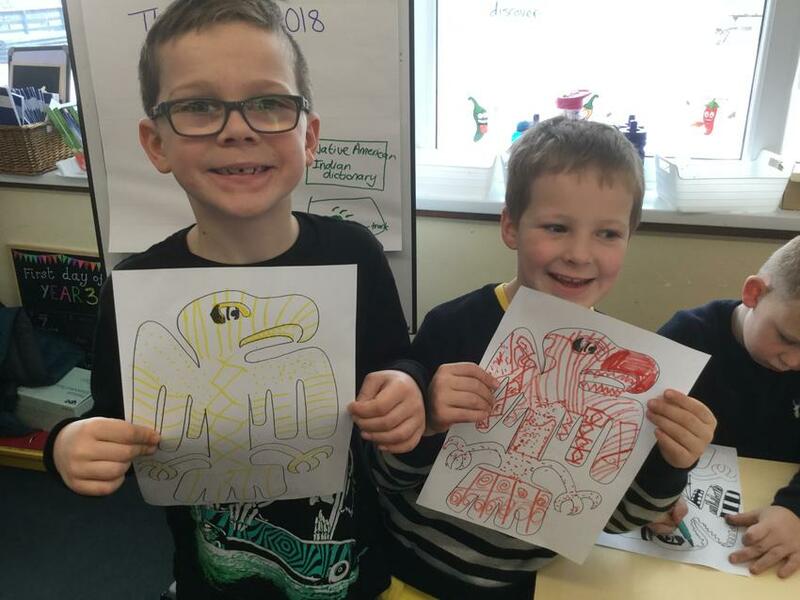 What a busy week - we have been celebrating science week, please take a look at the photographs of what we got up to on our science week page. 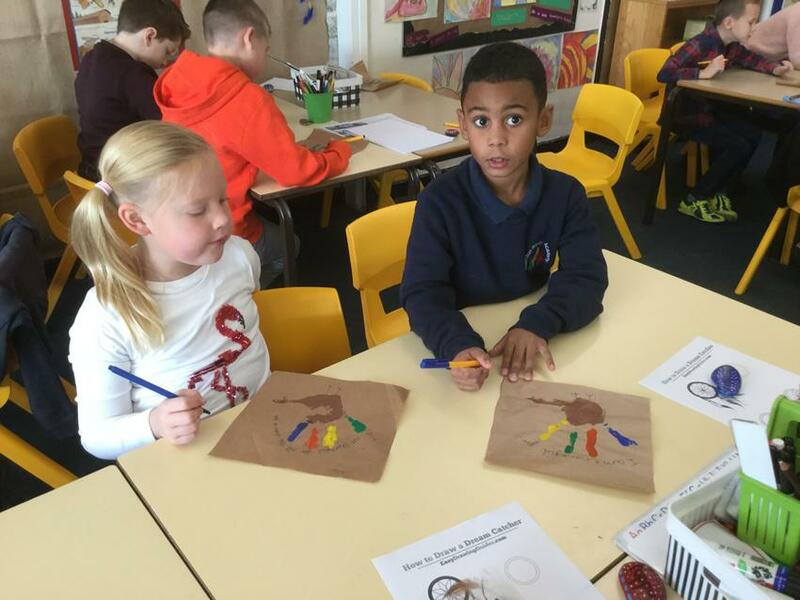 We have been learning about fossils and creating our own fossils in clay. We enjoyed the Cool Chesimstry show where we learnt all about solids, liquids and gases. We had a workshop about how to look inside our bodies from the outside, where we got to look at and handle lots of medical equipment from Leighton Hospital. 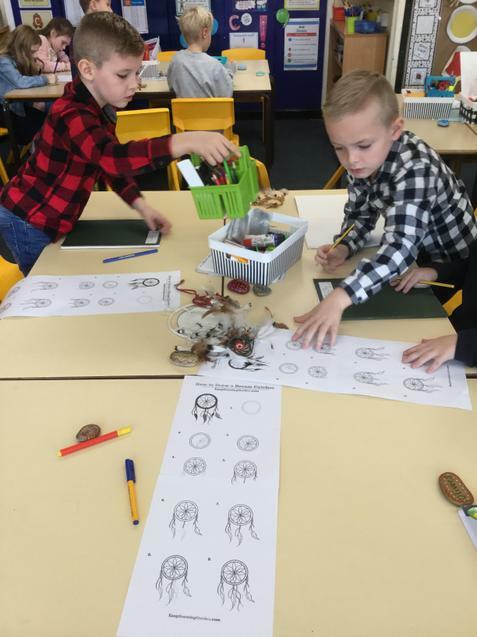 Then we finished our week being Roman Engineers - using our science knowledge of how to wheels and mechanisms work to design and create our own Roman Chariots. We also explored how to move water like a Roman by building our own aqueducts and used different shapes to build our own Colosseum. On Thursday we raised money for Comic Relief by coming to school in our pj's. We had a bedtime story in the library and found out lots of facts about Comic Relief. In PE we are developing our tennis skills. We have had 3 more children selected to become librarians - well done George F, George H and Eva. This week we have been celebrating world book day in school. On Wednesday, Jude Lennon a children's author visited school and spoke to the children about how she became an author, the process she goes through for writing her stories and we she shared some of her books with us. The children were very inspired by what she had to say and it was lovely to see many of them wandering around at playtime with a notebook and pen, writing their own stories. Jude Lennon also did the honors of opening our new school library. The library area looks fantastic and we spent a lesson exploring the library and reading some of the fantastic books in there. We are very proud to have one of our class chosen to be a Librarian - Well done Lucy, she wrote a wonderful letter to Mr Perrin explaining why she wanted the job as librarian. As it has been world book day our English work this week has focused on Poetry. The whole school have been studying poems about nature from the book the Lost Words. Year 3 have focused on writing poems about dandelions, buttercups, daisies and thistles. The children have created their own acrostic poems and they have created some beautiful sketches and water colour paintings. Next time you are in the school library take a look at the Lost Words display and see if you can spot the year 3 work. In maths we have started a new topic on statistics, we have been using pictograms, tally charts and bar charts to read and record data. We have also focused on how to give change with money using our subtraction skills. In science we are continuing to study volcanoes and rocks - linked to the text escape from Pompeii. Another busy week in Year 3. Next week is science week and we look forward to seeing lots of on the Friday morning for our science open morning. We have lots of STEM challenges planned linked to our Roman topic. English - We have started our new book Escape from Pompeii. The children have been reading the book and looking at the vocabulary used. 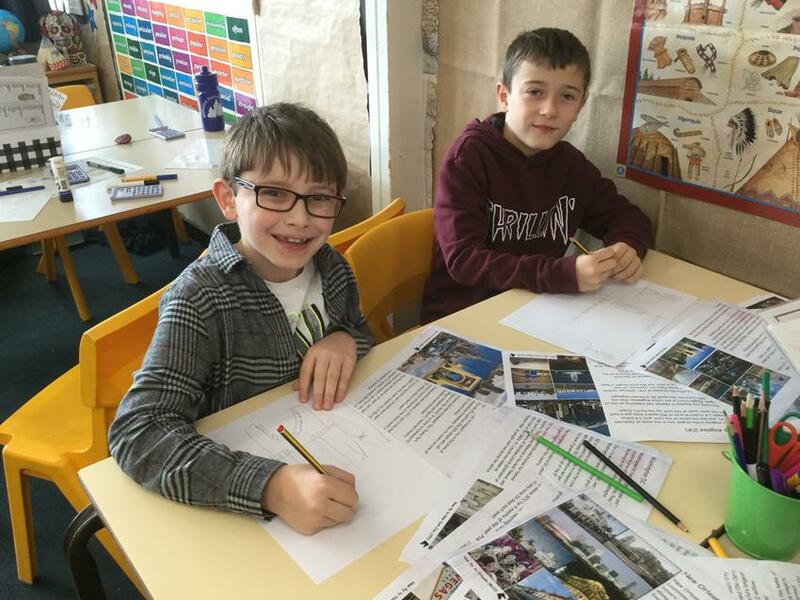 We have had lots of discussions about what happened in Pompeii and the children are excited to be reporters and over the next couple of weeks are going to write their own newspaper report about the event. Maths - Money is our focus this week. We have been comparing amounts of money, converting pence into pounds. Adding and subtracting money to work out totals and give change. Lots of problem solving tasks involving money. In topic we have been drawing our own maps of the Roman Empire, looking at which countries across Europe and North Africa the Romans invaded. 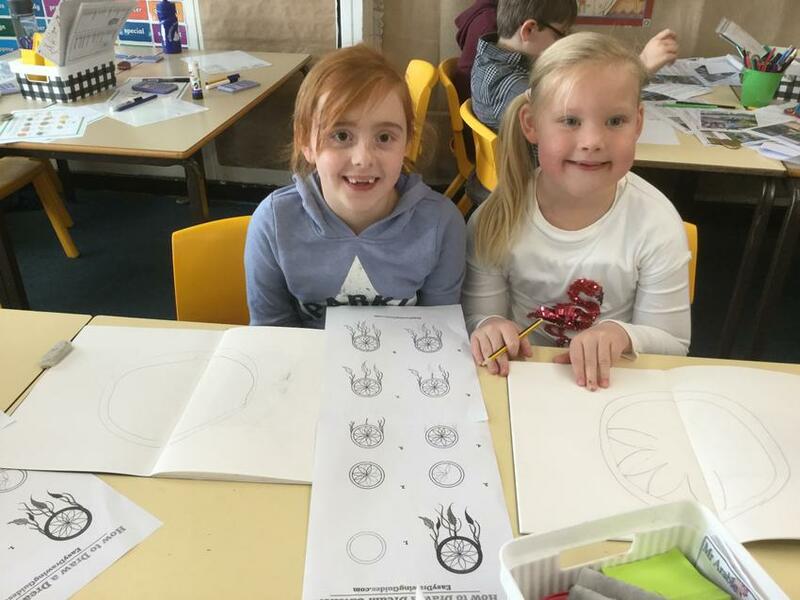 We have created some volcano inspired sketches and did some role playing about how the people in Pompeii would have felt during the volcano eruption. The children all took home a letter about swimming lessons starting in April, if your child has not got a letter please contact the school office. Please can you return the slips as soon as possible, thank you. 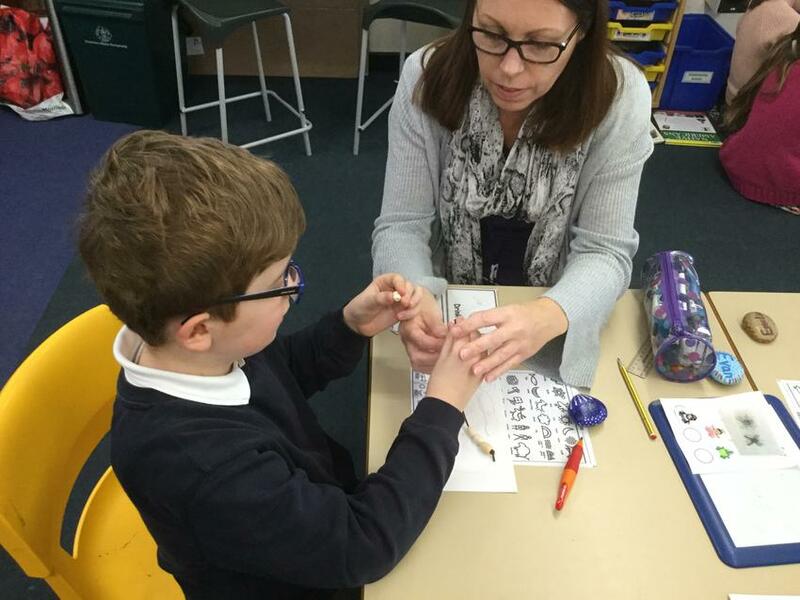 We have been all been very excited to welcome Mrs Morrison back to school this week. 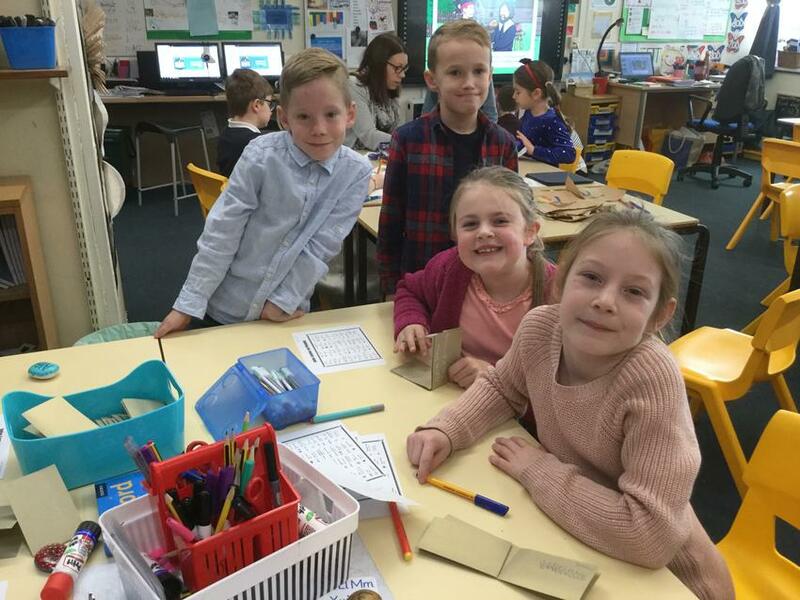 The children enjoyed showing her what they have been learning and how much they have grown and developed over the past year. English - we have been learning about how to use speech marks in our writing. We have been using different voices when reading and putting expression into our reading. The children have planned and have started to write their own Magic Tree House story. Maths - this week we have focused on multiplication, using our known multiplication facts to help us solve 2 digit multiplication problems. We have learnt how to use the formal long multiplication method for recording our multiplications. In science we have been researching and examining different types of rock. We are developing our throwing and catching skills in PE and we created our own mini fact book about Roman Life during topic and have been making a picture collage linked to Roman Gods during computing. We have also started to create a large class mosaic using ceramic tiles. This week has had the children very excited with the prospect of snow! Lots of the children have been busy making Roman bread as part of their home work grid challenge and we have been lucky enough to taste some of it in class. All the breads we have tasted have been delicious and the children have obviously had lots of fun baking it. English - we have been focusing on how to use apostrophes for both contraction and possession. 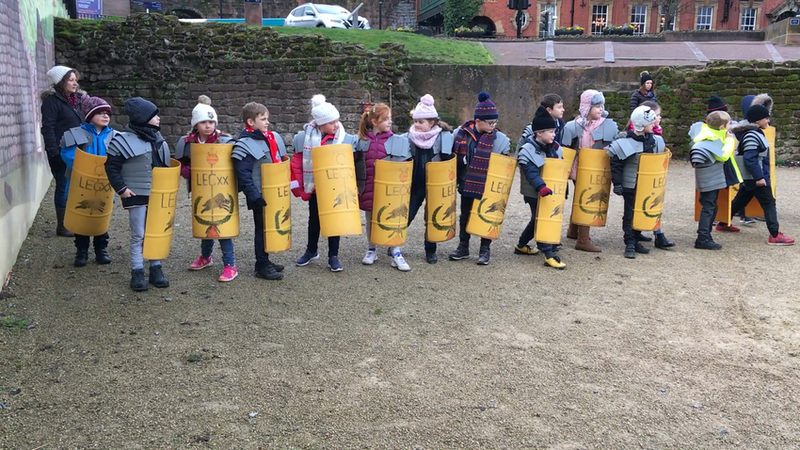 We have continued with our writing about Roman soldiers and have completed our job adverts for joining the Roman army. The children have worked hard on their presentation and their writing is up on display in the classroom. Maths - focusing this week on multiplication, using our knowledge of multiplication facts to compare statements, e.g 3 x 5 < 6 x 10. We have been looking at what happens to a number when we multiply by 10 or 100. PE - we had lots of fun and developed our team work playing seated volley ball. 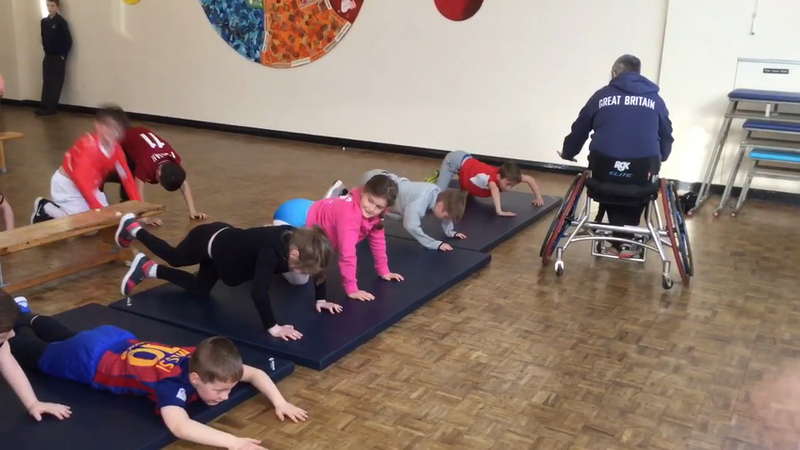 We are also learning how to do cartwheels with the sports coach. 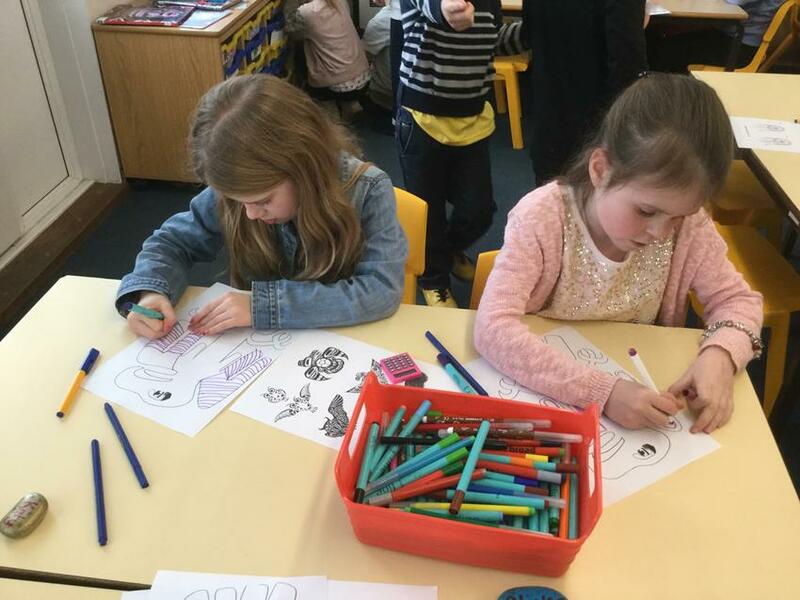 Topic - this week we have been focusing on the Roman Gods. We have researched the different myths and legends behind each god using the Ipads. Science - we have finished our lessons on Light with an experiment looking at sundials and how shadows are cast by the sun. 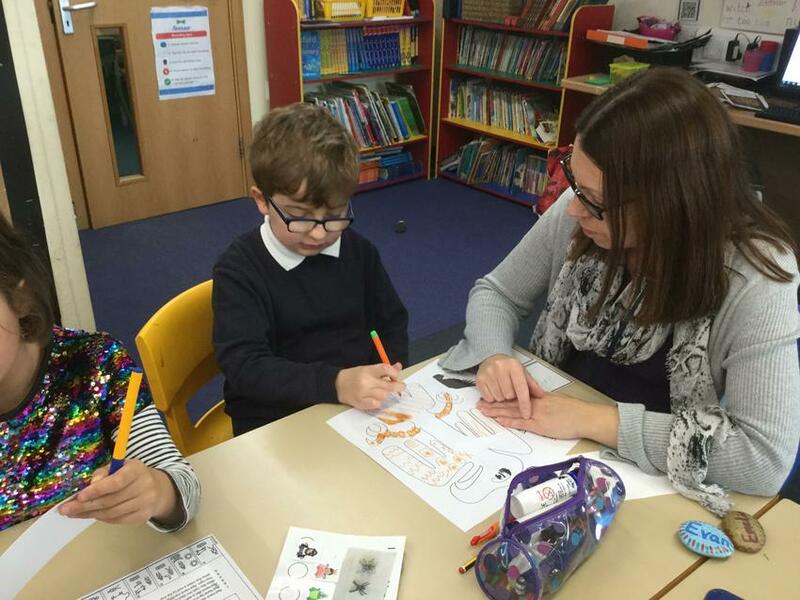 We are looking forward to welcoming Mrs Morrison back to class next week. The children have written a guide for how to cope in year 3. I hope she finds their tips and information useful! What a fun week in Year 3! We had an excellent trip to the Grosvenor Museum in Chester on Tuesday. 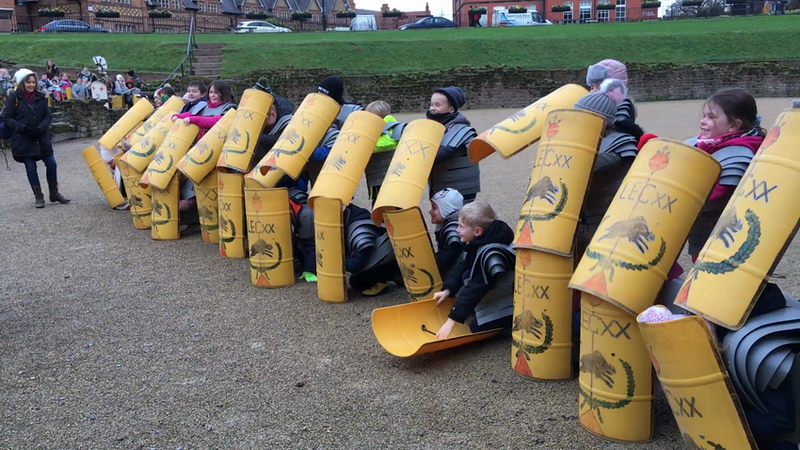 The children got to meet a Roman Soldier who trained them all to be Roman Soldiers. The children were so well behaved and got fully into their roles. We marched to the amphitheater and learnt how to protect ourselves in battle. Please have a look at the photos in our class trip folder to see what we got up to. We have used our knowledge of Roman Soldiers to create a job advert for a Roman Soldier. We have also been studying the story of Romulus and Remus. In English we have also been learning about pronouns and have been singing a pronoun song. In maths we have continued with division this week and have moved on to solving both multiplication and division word problems. We have completed a football multiplication challenge and there is a link to an online maths game that the children can play at home. We have also been practising quick recall of doubling and halving facts. 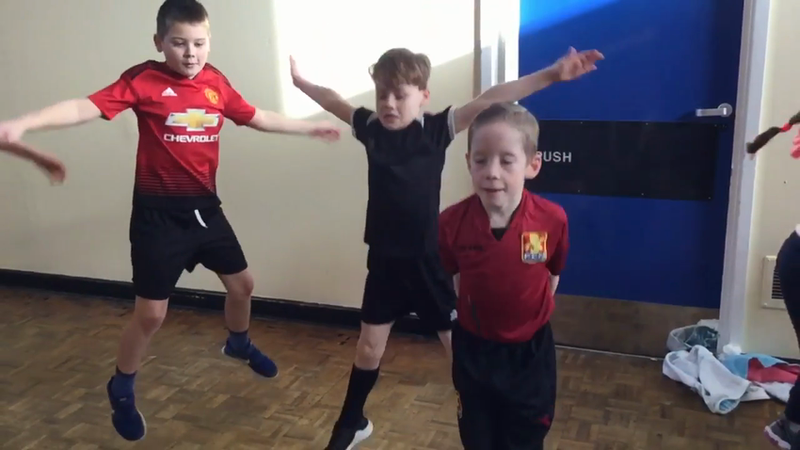 In PE we have been developing our team skills focusing on passing and defending and learning different types of roles in gymnastics. In topic we have been creating a Roman timeline and researching about Roman soldiers. Well we have had a fun week. 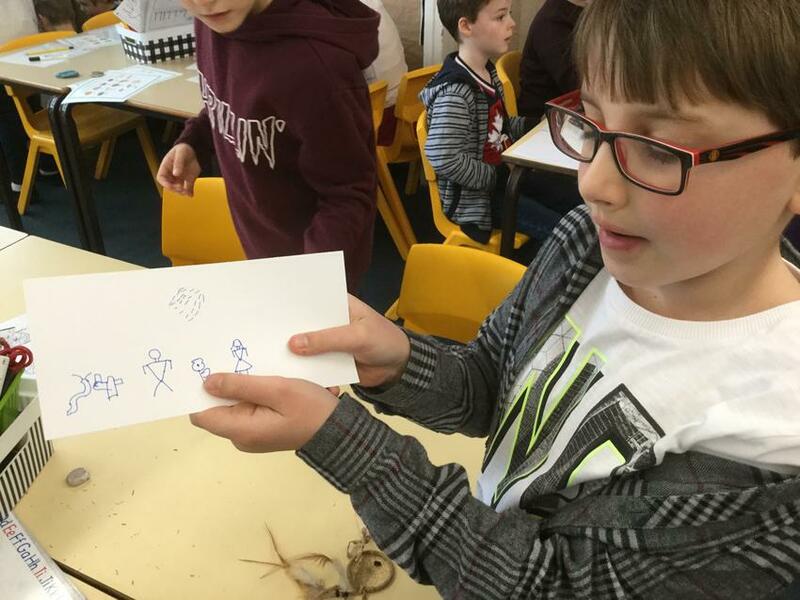 On Tuesday we had an art day, designing and creating our own Roman mosaics. 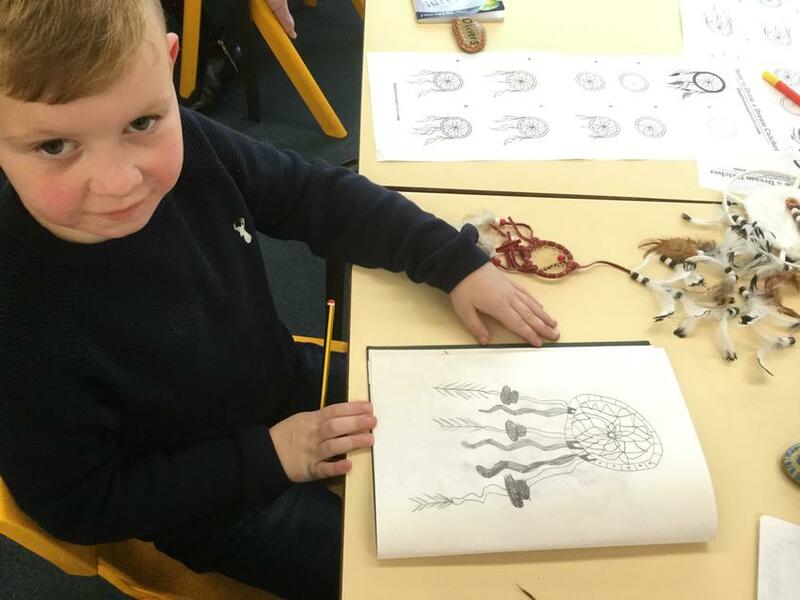 The children have completed some beautiful artwork and worked very hard, we are now going to create a whole class design to display outside our classroom using ceramics. If anyone has any tiles they no longer need, please can you send them in to school for us to use in his project. Thank you. In English we have been continuing to focus on writing complex sentences and identifying clauses. We have made up our own character and used all our writing knowledge to write a detailed character description. In maths we have moved on to division and have been dividing by grouping and using our times table knowledge. We are now focusing on division with a remainder and have been doing this practically with cubes and counters, using a multiplication grid to help us and moving onto a formal written method. We have had a drama session where we were acting out how the Romans invaded England. 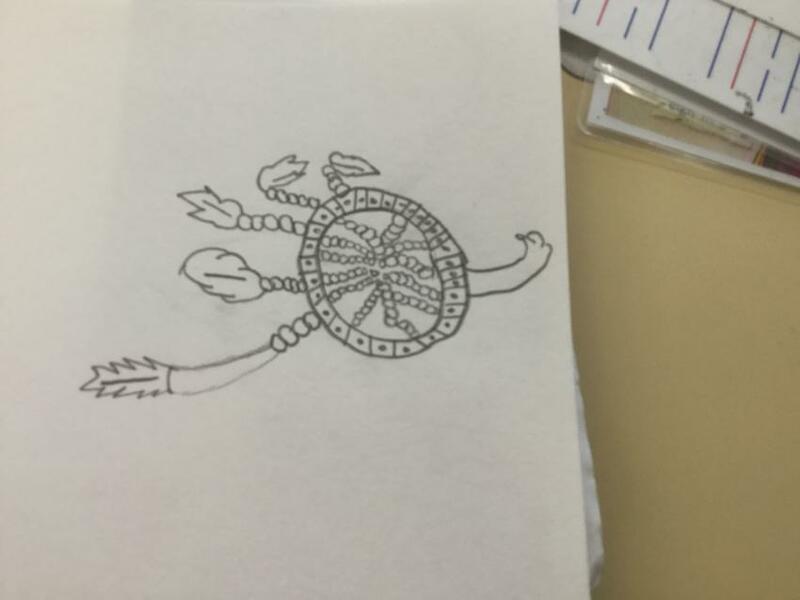 We took it in turns to be Romans or Celts. The Romans won! In science we explored Roman sundials and experimented with shadows on the playground. We are monitoring how the sun makes different shadows at different parts of the day. REMINDER - next Tuesday we are on our class trip to Chester. The children need to wear comfortable shoes and a warm coat. They need a packed lunch and no more than £3 spending money (optional). Well what a busy first week back. 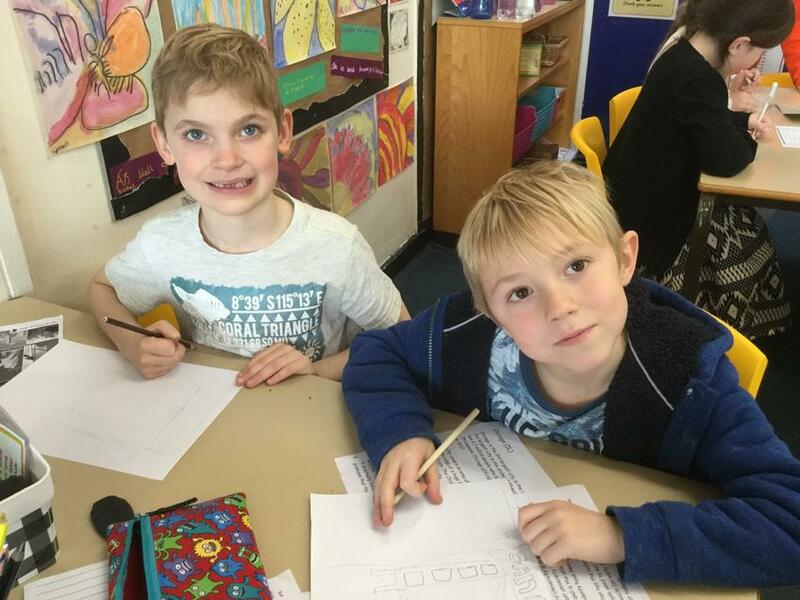 The children have thrown themselves back into their school work and have all made a wonderful start to 2019! 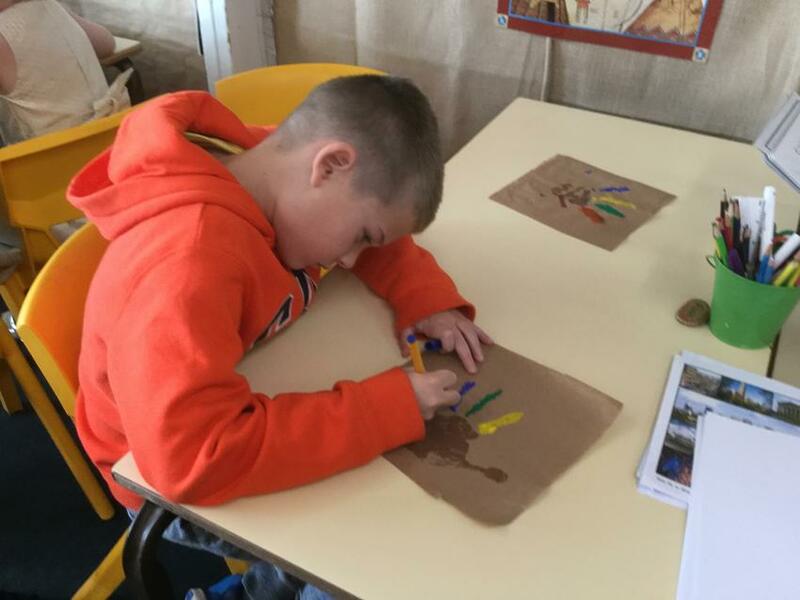 We have started our new topic about the Romans by exploring the roman art form of mosaics. 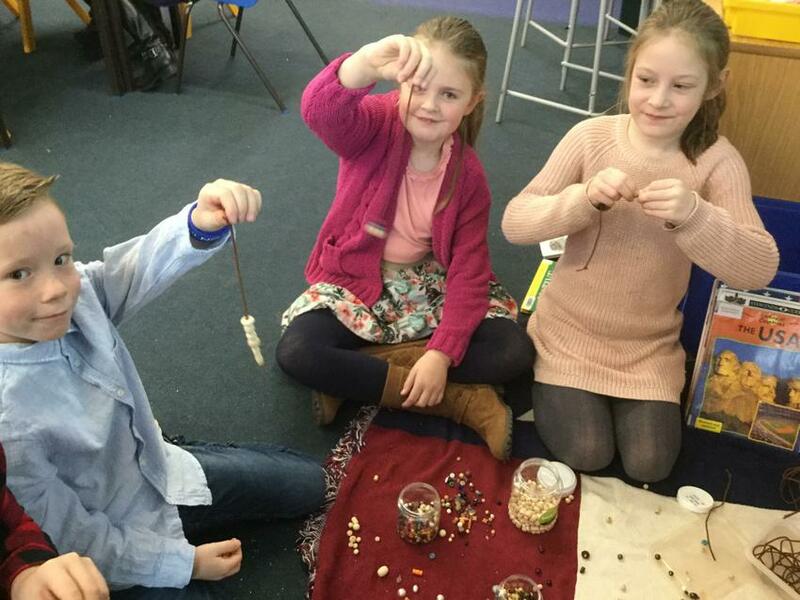 The children have been experimenting with simple mosaic patterns and learning about how the Romans used mosaics. In English we have started our class book - Magic Tree House. We have been book detectives using the front cover and blurb and have made predictions about what we think the book will be about. Our grammar focus this week has been identifying clauses and phrases and up leveling our writing by creating complex sentences. The children have been using complex sentences to describe Roman scenes. We will be continuing with this further next week. In Maths we have recapped the 3 times and 4 times tables that we started to learn before the holidays. We have also started to learn the 8 times table and looked at how it links to the 4 times table. We have been practising doubling our 4 times table to create answers to the 8 times tables. Please see the link before for a game to practise their 8 times tables. In RE the children have been writing their own prayers. In science we are finishing off our light topic and have been exploring why we need to be safe in the sun. Thank you for all the lovely Christmas gifts, I got to enjoy them all over the holidays. Next week is parent consultations, if you have not yet made an appointment please contact the school office for an appointment time. 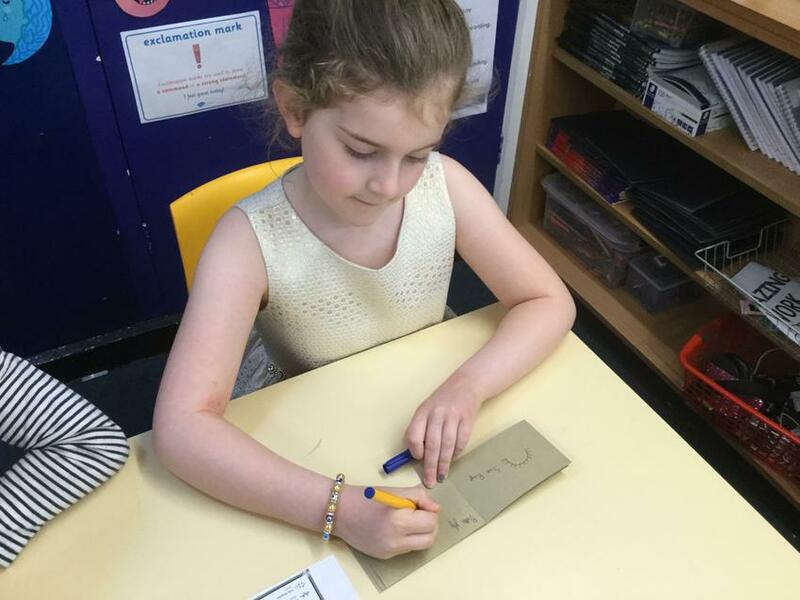 This week the children have been comparing formal and informal letters, looking at what features are included in a letter and have started to write their own letters about an imaginary trip around North America. There was some excellent writing produced and we will be completing the letters next week and presenting them to go in our topic books. In maths we have been focusing on our 3 and 4 times tables, looking at patterns in the numbers and using our multiplication facts to solve division questions. In science we are continuing with our topic on light. 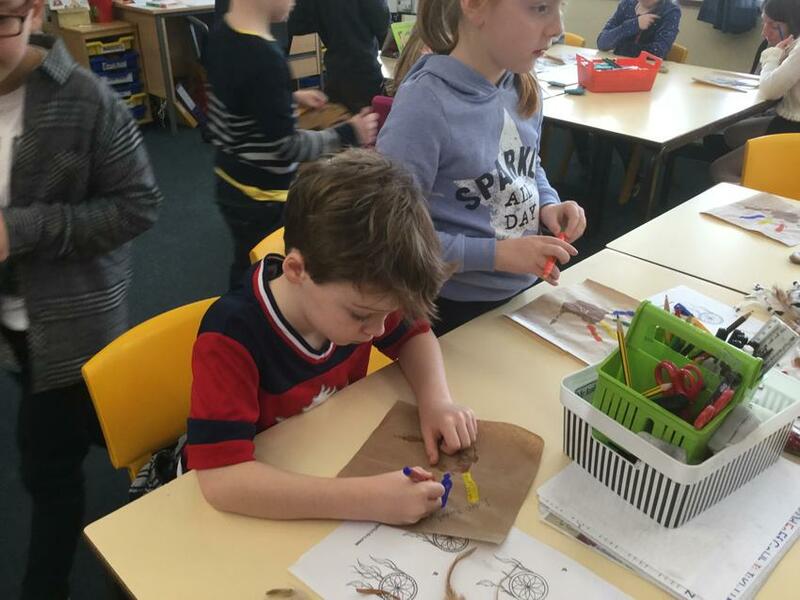 This week the children have explored reflective materials and designed a new school bag with a reflective stripe. 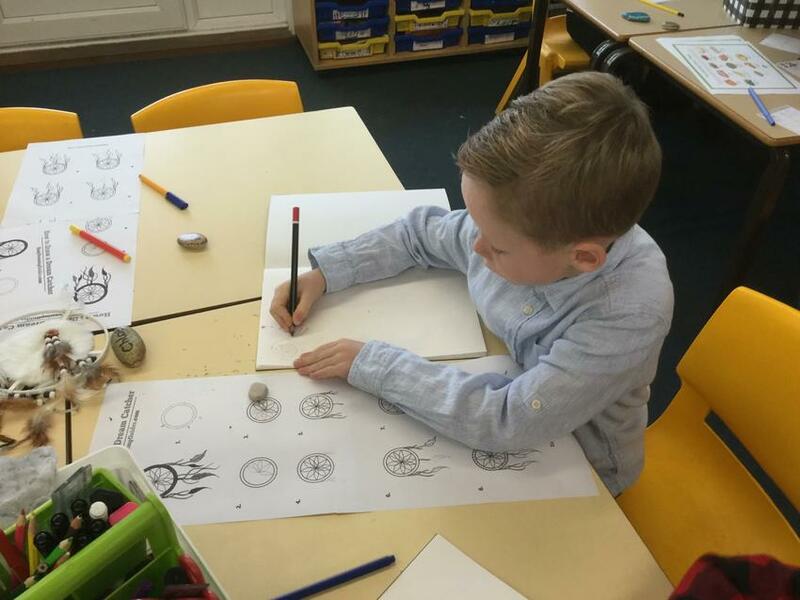 We also explored how light is reflected in shiny surfaces and used mirrors to create secret messages using mirror writing, plus created symmetrical patterns and pictures using the mirrors. 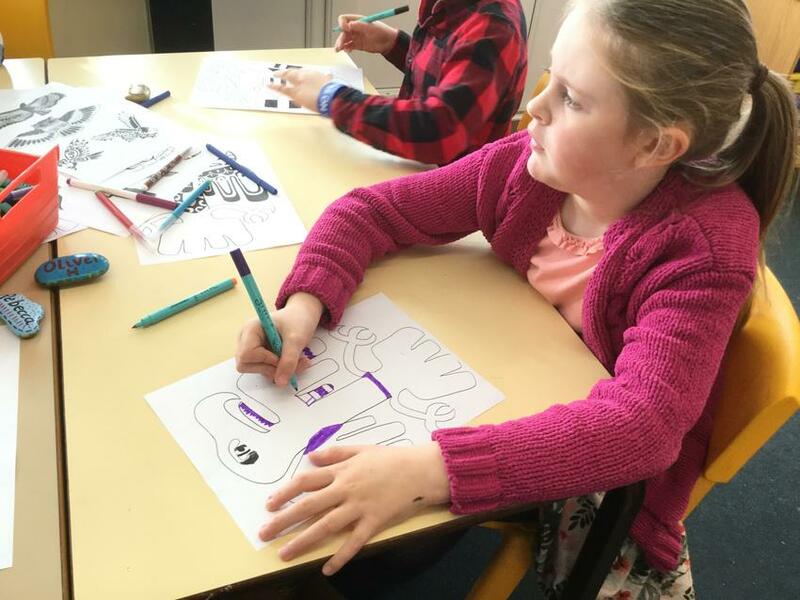 On Friday we had a fun day with a Christmas singalong in the morning, followed by Christmas lunch and then making Christmas cards in the afternoon. We all got to wear our Christmas jumpers for charity and it was a such a fun day. Next week the children have our KS2 carol concert and toy day to look forward too. We have had a busy week this week as it has been assessment week. The children have worked really hard and I have been very pleased with how well they have all applied themselves. We are continuing with multiplication and have been practising quick recall of the multiplication facts for our 3 and 4 times tables. 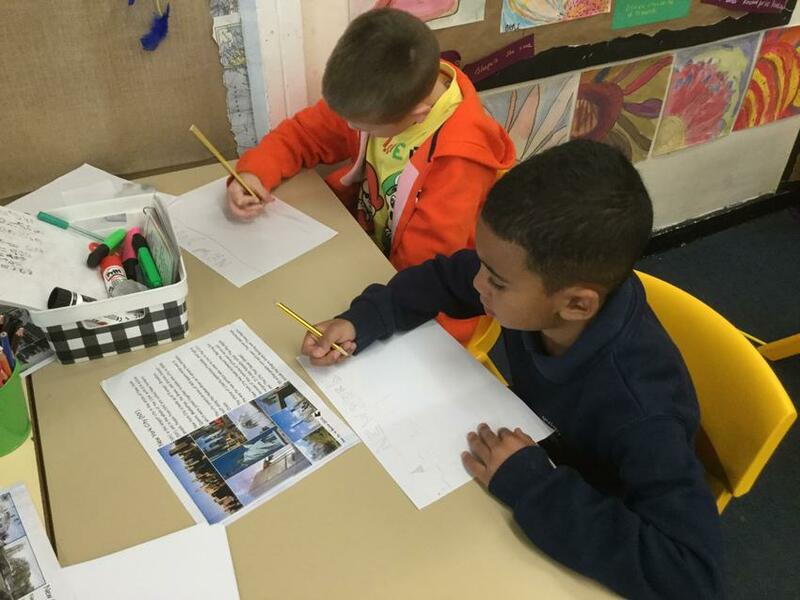 In English we have been writing facts about the USA and Canada. 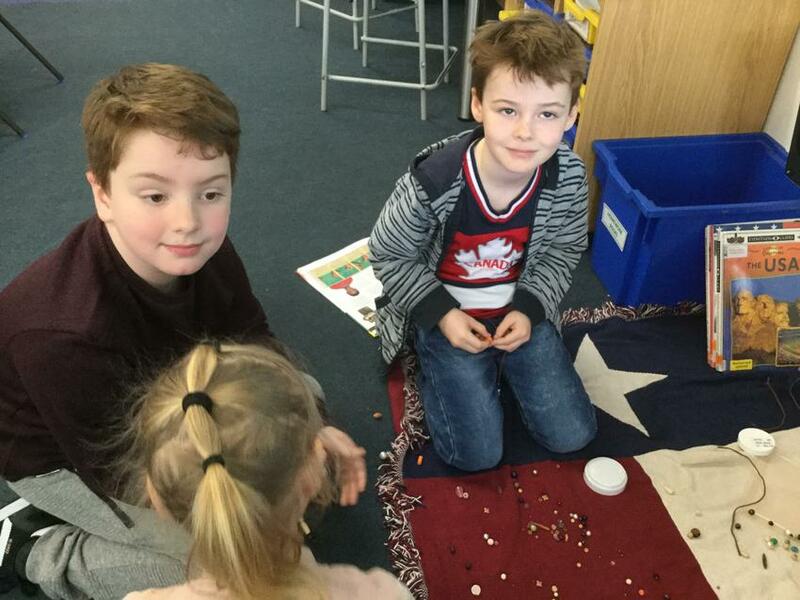 We have been working on finishing off our topic books this week and the children have created some fantastic work all about the American flag and we have been researching what life is like in Canada. Mrs Leech would now like to live in Canada! In science we have been exploring light and have experimented with how we need light to see objects. On Friday we got to watch the KS1 nativity which was wonderful and along with the School Christmas Fair this week we are now well into the Christmas spirit. We have even got our own Christmas tree in the classroom. 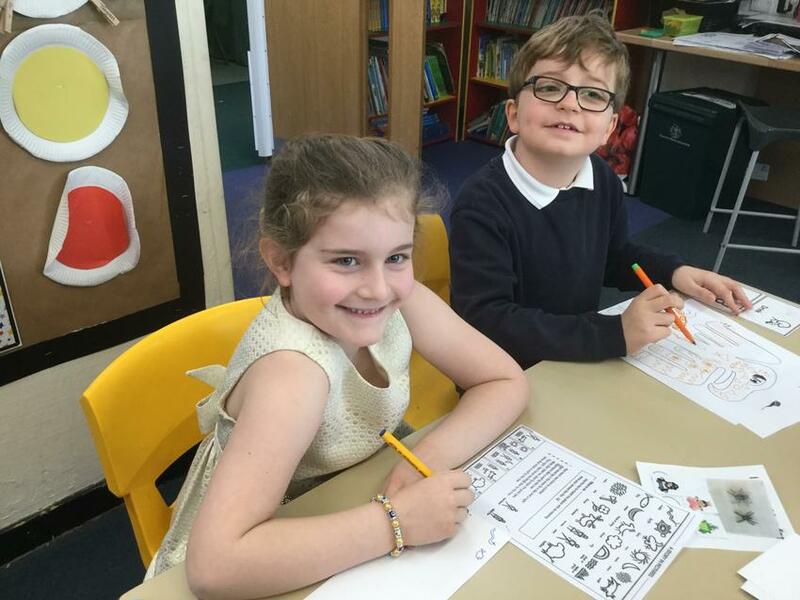 In English this week the children have been writing and editing their own stories of the first Thanksgiving. We have then been developing our computer skills by word processing our stories. We have learnt how to open up a program on the laptops, save our work and then find it again! The children have worked very hard on their stories. We have also been looking at prepositions this week in grammar. We have been developing our reading fluency skills through paired reading sessions. In Maths we have finished our work on addition and subtraction with some problem solving. We have now started our next unit on multiplication and division. The children have been making arrays to solve multiplications and have been working on rapid recall of multiplication facts for their 2's 5's and 10's timestables. We were very excited to have a visit from Mrs Harrison this week. She very kindly talked to the children about her time living in the USA and the children were fascinated. The children had lots of questions and loved hearing about the different American cities. 22nd November Happy Thanksgiving everyone! We have had such a fun day today in Year 3 celebrating Thanksgiving. 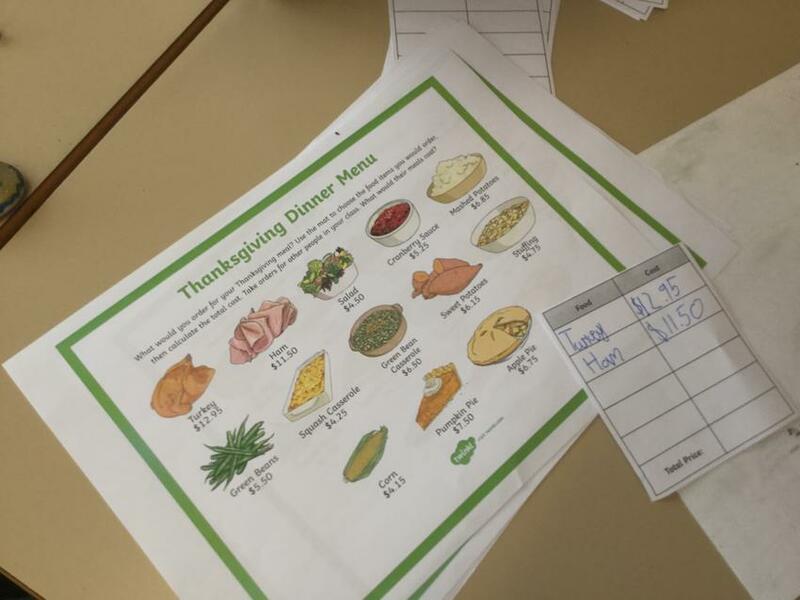 We learnt lots about American culture, looked at the history of thanksgiving, discussed what we are thankful for. We had a lovely thanksgiving lunch followed by pumpkin pie. 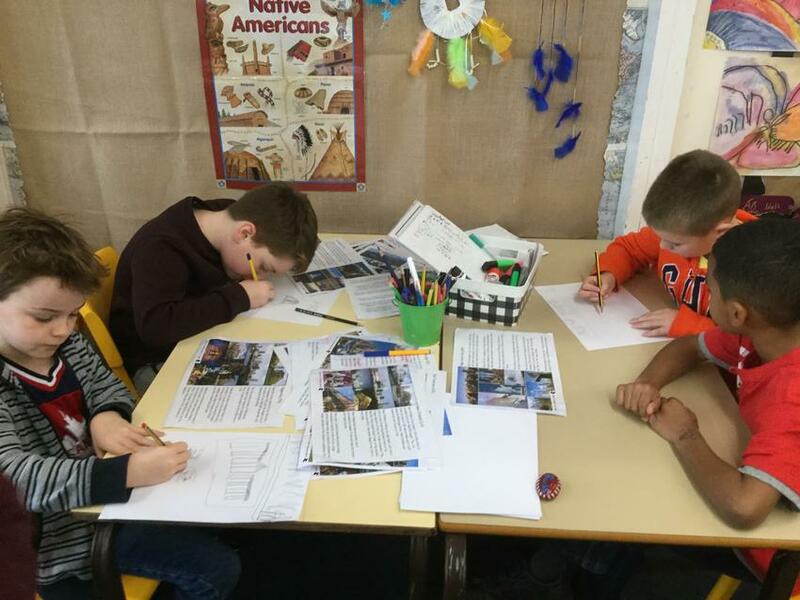 This week we have been exploring different American cities in Geography. 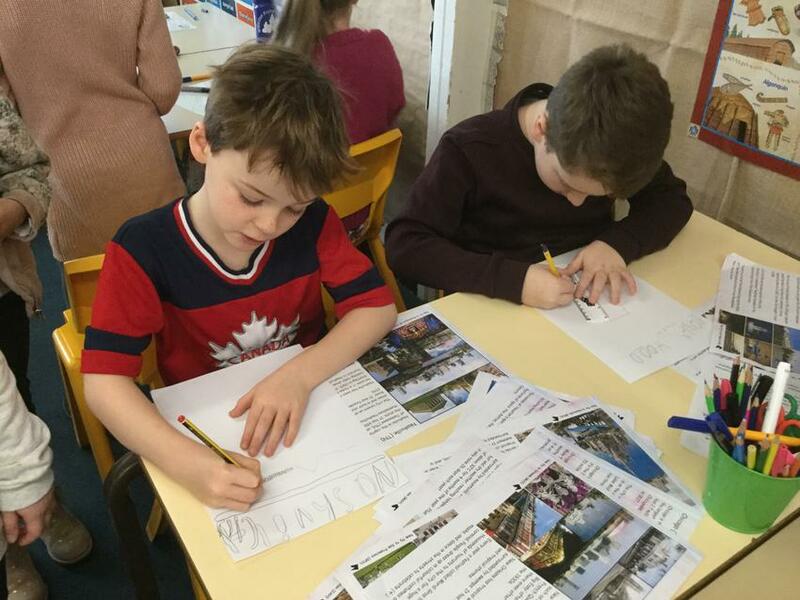 The children have been researching different cities and filling in facts about each place in their passport book. They have looked at Houston, New York, Chicago, Detroit to name a few. We watched CBBC Newsround and discussed the wild fires in California. 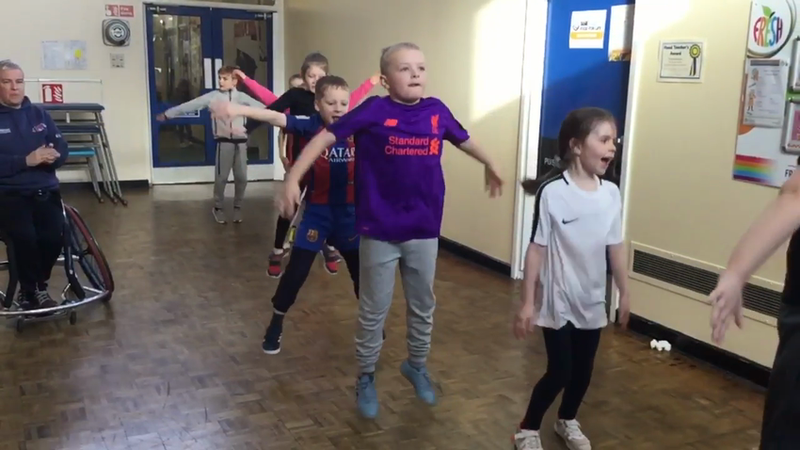 In PE they have been exploring how to balance on different parts of the body and to put a sequence of balances together as a group to perform to the class. We had our odd sock day on Thursday and the children have been talking about friendship during anti-bullying week. In English we have reached the part in Charlotte's Web where Wilbur finds out the farmer is planning to kill him. This has lead us on to discuss should we eat meat. The children had lots of ideas and arguments for and against killing animals for meat. We talked about what makes a balanced argument and the children split into groups to write a persuasive speech. They all worked extremely hard on their speeches. We will be editing them next week and presenting our arguments to the class in a mini debate. Finally we had a fun afternoon on Friday watching the Pantomine! Oh no you didn't. OH YES WE DID!!! We have been using these games in class to practice quick recall of subtraction facts and sharpen up our mental maths skills. This week we have had a special visitor in class, Charlotte the spider! She is keeping a check on what we are up to and she was really impressed with our writing. We have been focusing on using adverbs in our writing this week. We have been identifying verbs and selecting adverbs to describe these verbs . 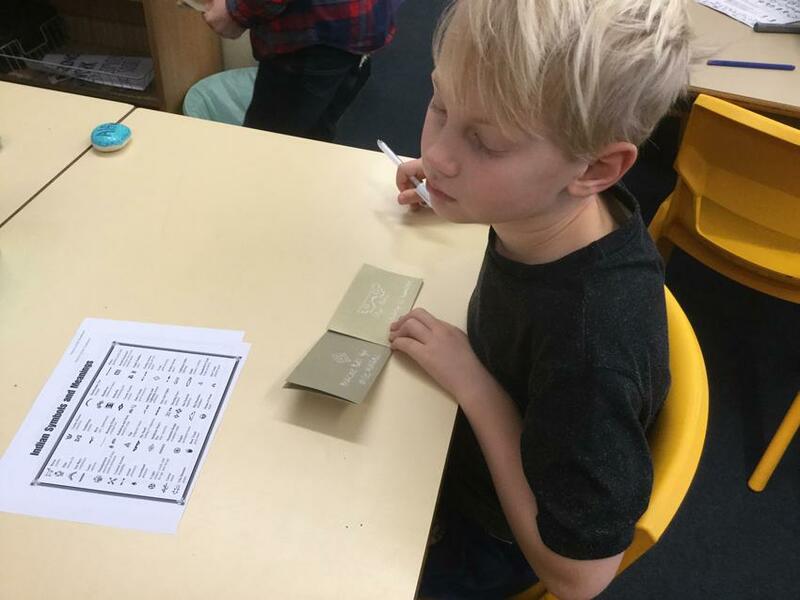 We have also been learning to use a dictionary to check the meaning of words. In maths we have been looking at how subtraction is the inverse of addition. We have been using a range of different strategies to subtract. 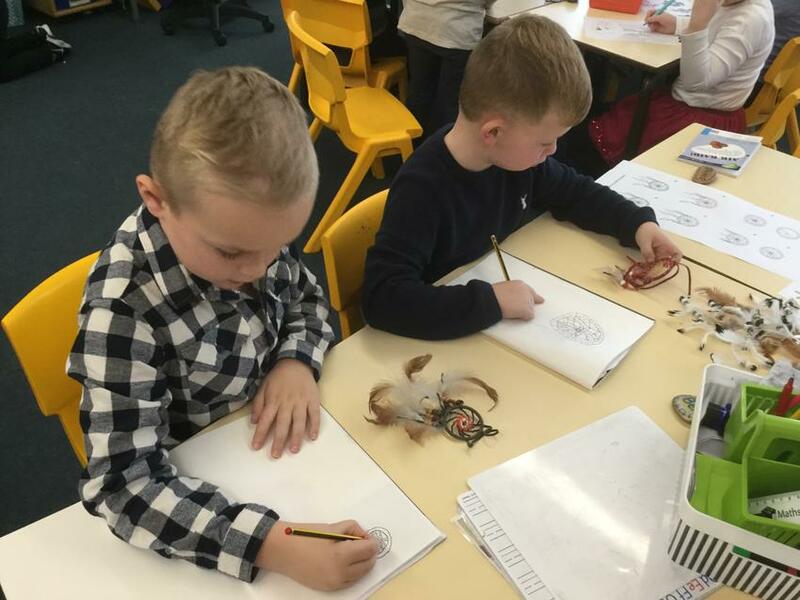 In topic work we have been learning about the USA and using our compass and map reading skills to investigate the different states of the USA. We have been using maps and atlases to research the names of the different oceans. Lots of map reading this week! 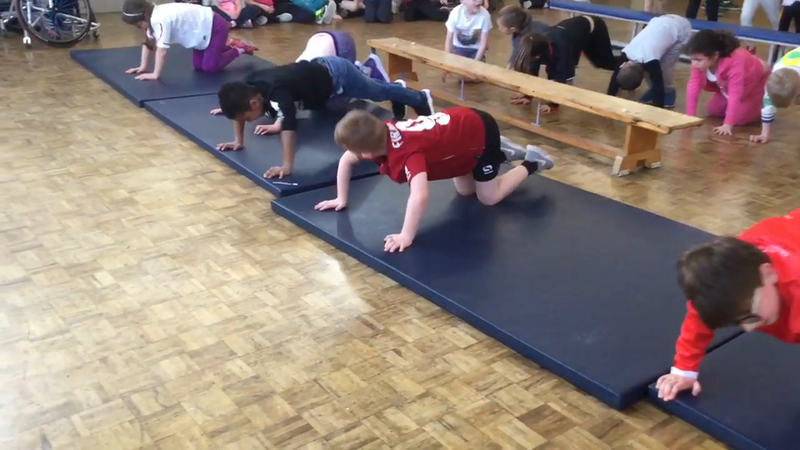 We have moved on to gymnastics in PE and our PE sessions have now changed to a Tuesday morning instead of a Friday morning. Please can you ensure your child has their indoor PE kit in school. 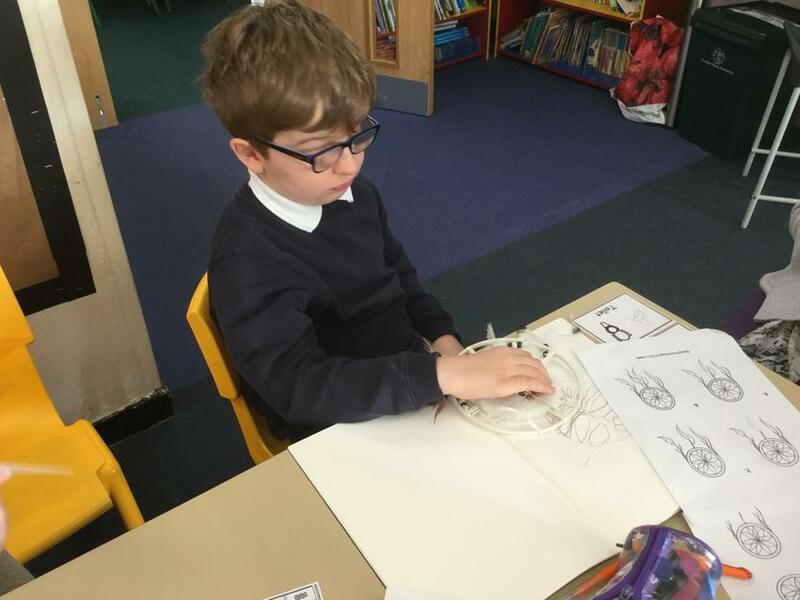 In science the children have continued to learn about the human body - this week they were learning about how their muscles work and carried out some simple experiments to test out their muscles. An exciting part of the week was selecting our school council representatives for this year. The children each gave a speech and came up with lots of ideas for what they wanted to do as a member of the school council. Nell and Oliver S were elected and have already undertaken their first task by meeting and helping to launch our Christmas Toy Appeal. Well what a long and busy term this has been! The children have settled into life in the juniors and are now fully part of KS2. 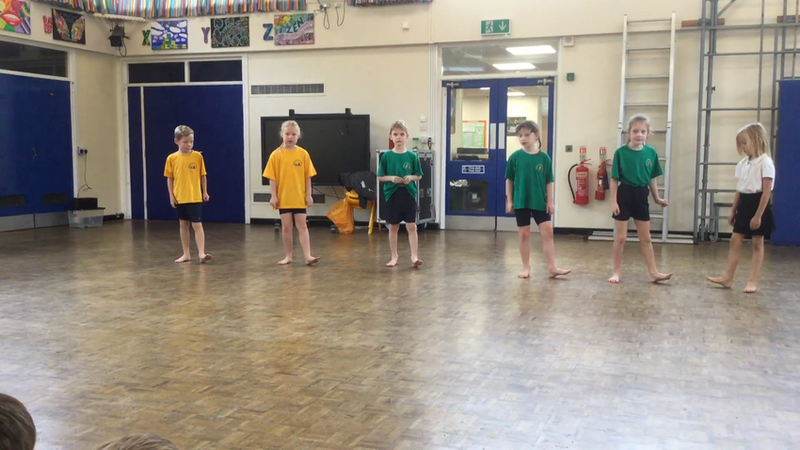 We have been working hard this week polishing up our performance skills ready for our class assembly tomorrow. 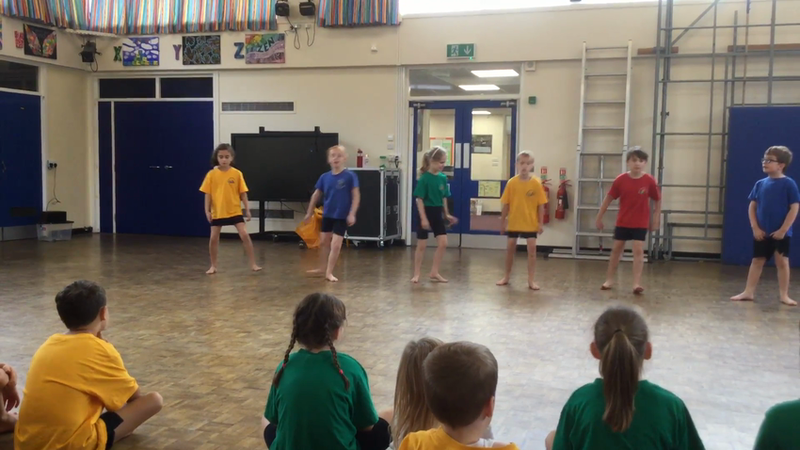 The children have worked very hard and are really excited about their performance tomorrow. Reception got a sneaky preview today. This week we have been reading the next chapter of Charlotte's web and have been practising using expression in our reading. In maths we have been doing addition using number lines, bar models and the column method. The children completed an addition Lego card challenge today where they used their column addition skills to find the total of two Lego cards working with a partner. It has been an exciting week for challenges. The children have completed Mr Perrin's STEM challenge. Take a look at our STEM page for more information and photographs. 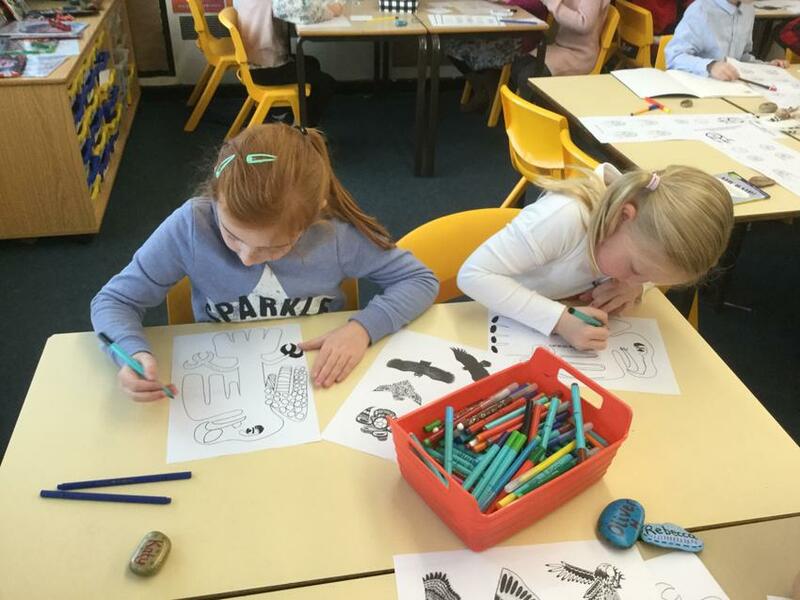 In science we have been learning about our skeleton and naming different bones / parts. 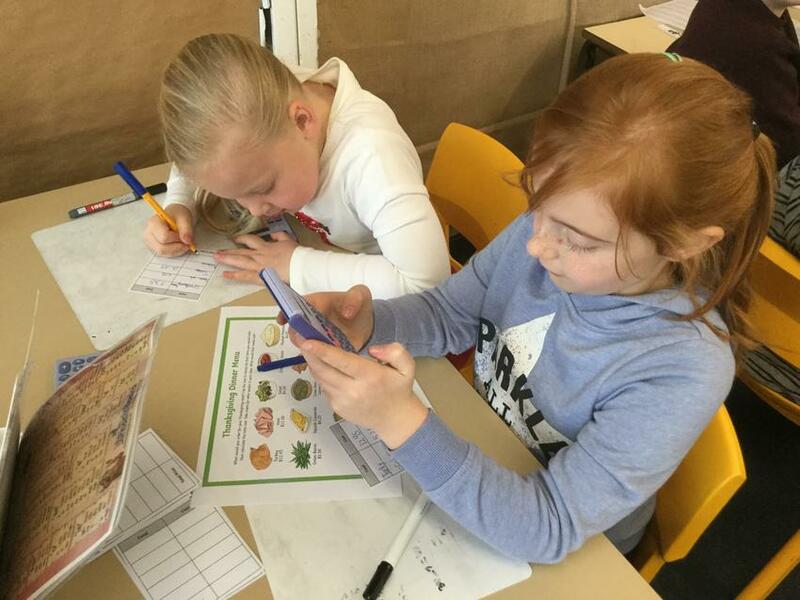 Well what an exciting week, we went on our class trip to Reaseheath College to learn about where our food comes, please look at our trip page to see what we got up to. We are writing a recount of our trip in English and are practicing our lines of our class assembly using loud voices and expression. In maths we have moved on to addition using mental strategies and our knowledge of place value to add small amounts to a 3 digit number. We have also been completing a times table challenge. In science we have been designing a nutritious and balanced meal. Art we have been creating artwork linked to harvest. We have started to practice for our class assembly and the children have all been given their lines to practice at home for homework. We look forward to sharing all our hard work with you next Friday. This week we have started to plan for our class assembly. We have been learning about why we celebrate harvest. We have looked at what the word harvest means and have written our own harvest / autumn poems. We are continuing to learn about food in science and have been collecting data about the amount of sugar in foods. We are looking forward to sharing our work in our harvest assembly. In English we have been focusing on using adjectives to write character descriptions. We used the Ipads to record our descriptions. In Maths we have moved on to addition and subtraction. We have been exploring different ways to make 100 using knowledge of our number bonds. We have been adding and subtracting hundreds and have been revising odd and even numbers. During topic we have been recording and presenting what we have learnt about Mexico for our topic books. 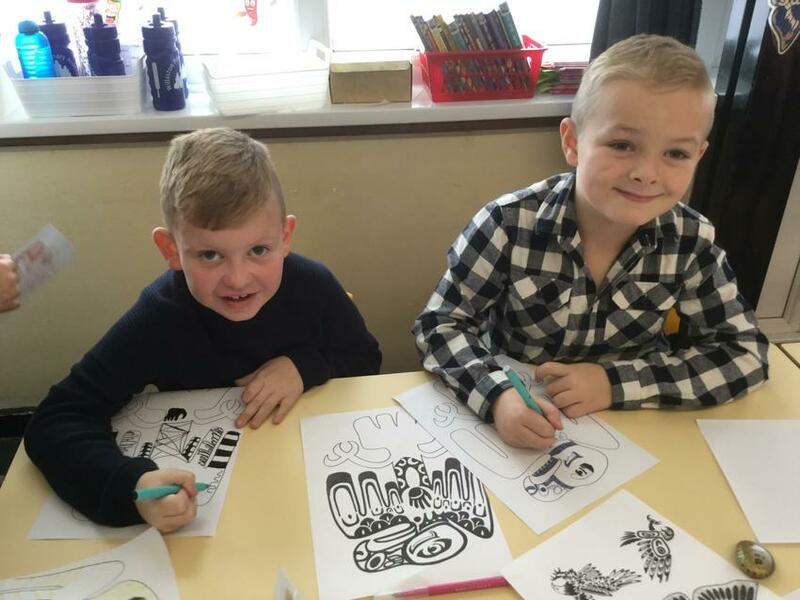 The children enjoyed tasting some Mexican food, they tried salsa, guacamole and a spicy Mexcian rice.I was very impressed with all the children having a go and trying something new! This week we have started to study the book Charlotte's Web. We have focused on the first two chapters and have had a debate about why Fern should save the piglet. The children have made predictions about the story and we have used dictionaries to look up new vocabulary - for example runt and injustice. We have been looking at extending our sentences using a range of conjunctions. Maths - we have been counting in steps of 4, 8, 50 and 100, placing numbers on a number line and applying our place value knowledge to problem solving. We have been using the Ipads in maths to practice our number skills. The websites we have been using are linked below. Topic - we have continued to find out facts about Mexico, we have been focusing on their culture and festivals. 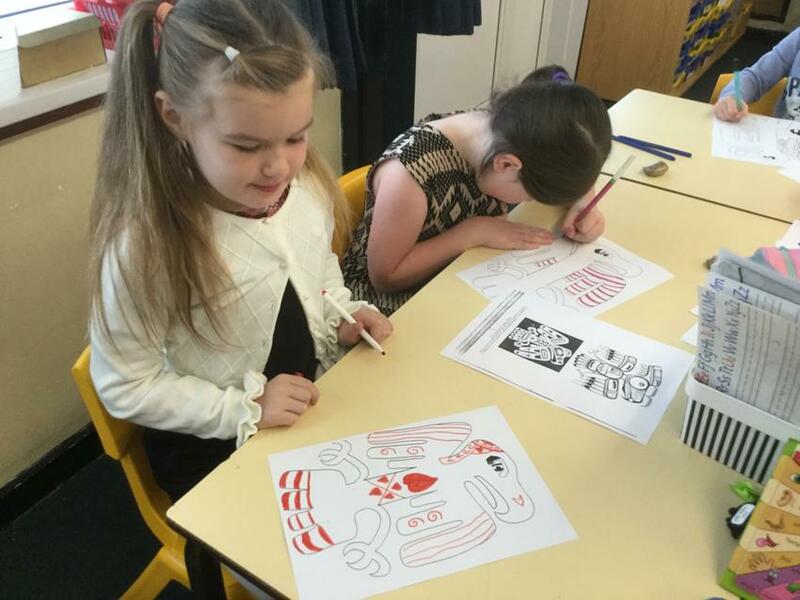 We have been started to learn about the Day of the Dead festival. In french we have learnt the days of the week and continuing our counting skills. We have been discussing how to keep our bodies healthy in science. In music we are learning songs for our harvest assembly. 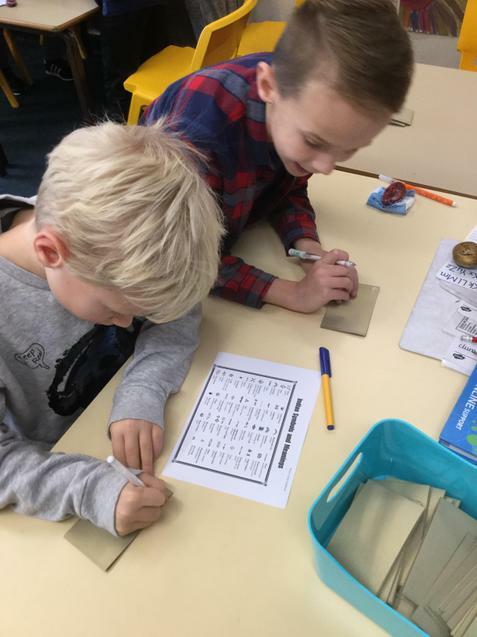 Place Value games on the internet We are coming to the end of our topic on place value and this is a good way of the children practicing their place value skills. 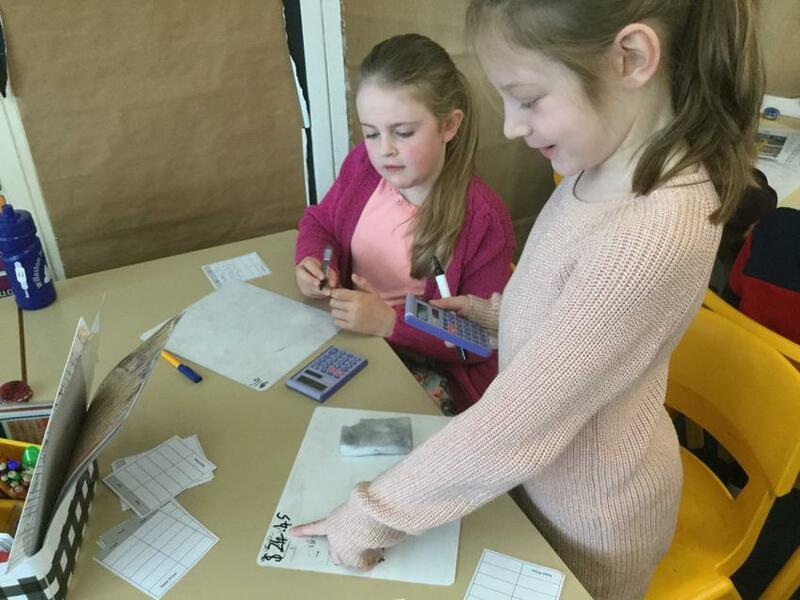 This week we have been continuing to look at place value in maths - focusing on comparing numbers, identifying which number is greater than or less than. Ordering sets of numbers using our knowledge of place value and applying these skills to reasoning problems. In English we have finished our book 'After the Fall'. The children have been sequencing and retelling the story. Making predictions and exploring different points of view. They have produced some wonderful descriptive writing. We have also been revising our spellings of common homophones (their, there, they're etc) and using these correctly in our writing. During topic work we have finished our artwork inspired by Georgia O'keeffe. The children have completed some amazing pieces of work, please see our photo gallery on our class home page to view some of the artwork. 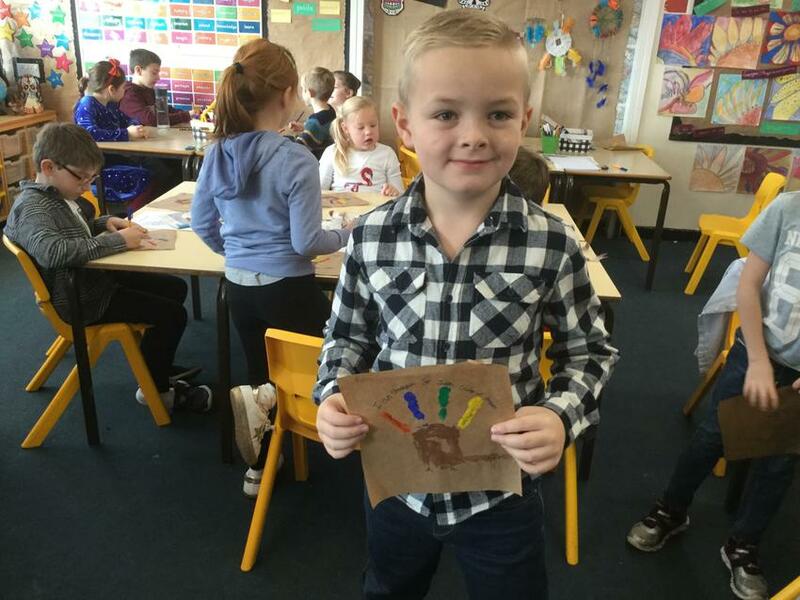 The children combined watercolour paints with pastels, working on different layers of their artwork and adding detail. 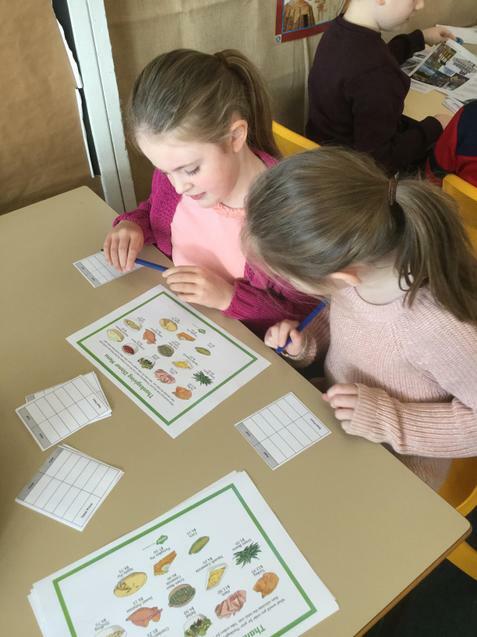 We have been learning more facts about life in Mexico and continuing to discuss healthy eating and where our food comes from. 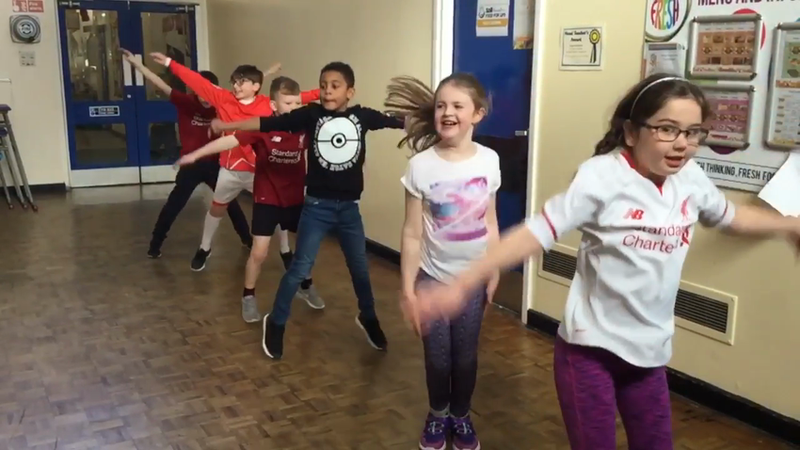 In PE we are practising indoor athletics and learning to line dance - the children are really enjoying their dance sessions! This week we have been continuing with our place value work in Maths. We have been writing numerals in words (please practice spelling the numbers as words at home), we have been finding 1, 10 and 100 more or less of a number and using these skills to problem solve. 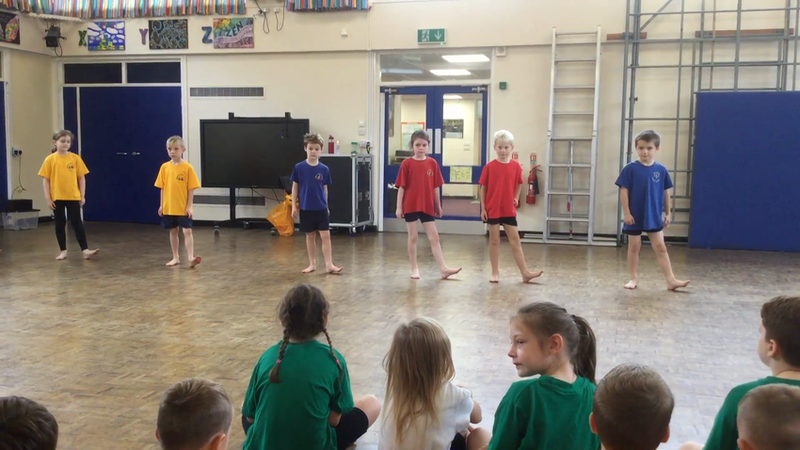 In English we took part in some drama sessions working on our persuasive arguments for why Humpty Dumpty should or should not get back up on the wall - the children really enjoyed this and came up with some excellent arguments for both sides. We have also been focusing on using an apostrophe for contractions and using these in our writing. 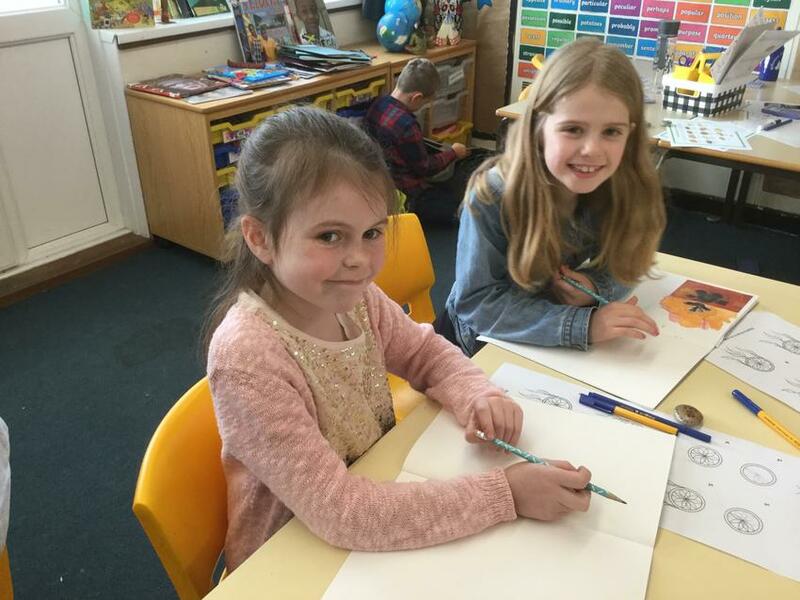 We have continued with our work on Georgia O'Keeffe - the children are creating their own pieces of artwork in her style and have been experimenting with water colour pencils and paints. In our topic work we have started to learn facts about Mexico and we had a length discussion about Hurricane Florence. In music we have started to learn songs for our class assembly. Some children have been interested in entering a cross country event in October, letters went home today with those children who were interested. Please return the slip to school if your child would like to take part. It has been another jam packed week and the children have really settled into life in the juniors. I am very pleased with how they have all adapted. 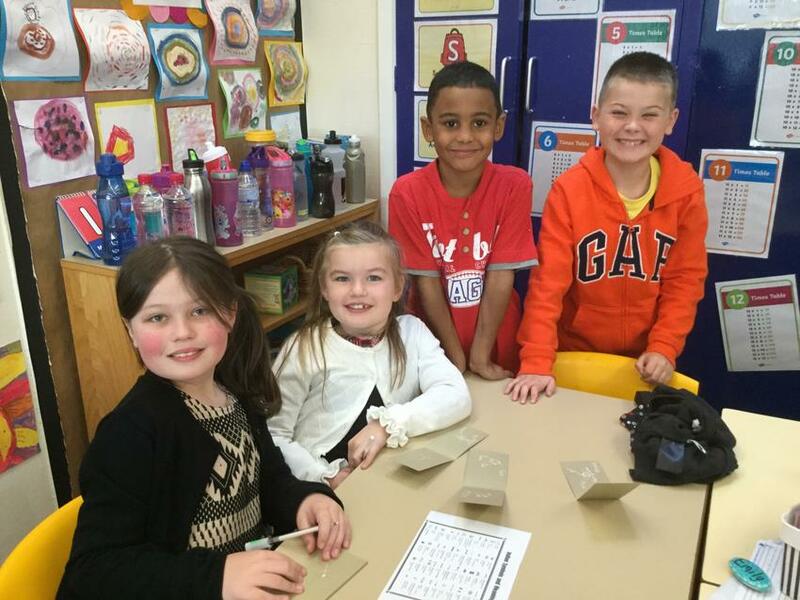 We have had a very busy first week back and have been welcoming our new friends into our class. In maths we are focusing on place value and looking at what value each digit represents in a 3 digit number. In English we have started to explore the book 'After the Fall' discussing why Humpty Dumpty was up on the wall and what happened after he fell. In grammar we are recapping the past tense suffix -ed. We have started our topic on Exploring North America. We have used the IPads to research the American artist Georgia O'Keeffe. In science we have looked at different food types. 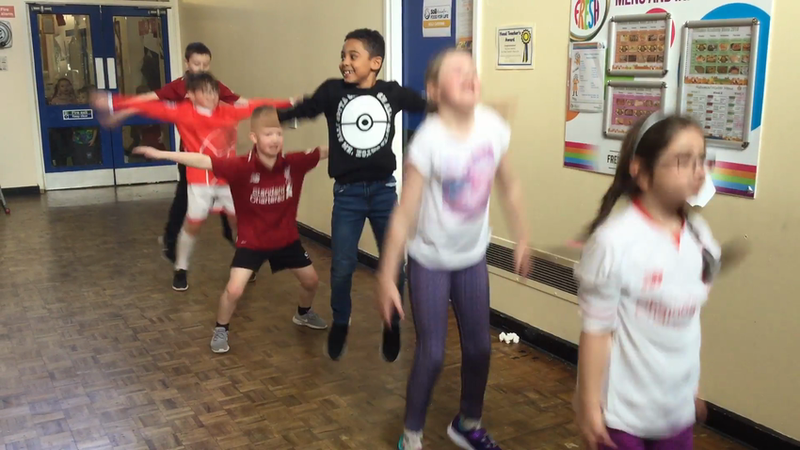 We have started to learn some moves for our line dancing in PE. 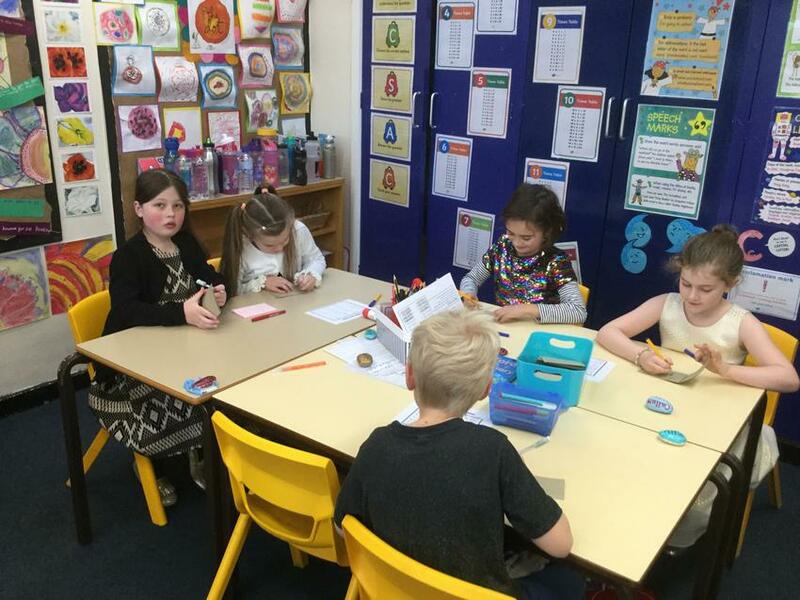 The children have made an excellent transition into Year 3, they are being much more independent and I am really proud of how hard they are all working!